This week’s blog is focused in the remembrance of the faithful departed. But before I get into that, I want to bring your attention to the movie BELLA opening in Boston November 9. For more information, contact the Pro-Life Office at 508.651.1900 or view the movie trailer at www.BellaTheMovie.com. The theatres and showtimes at which BELLA will be available will be posted no later than Wednesday at the Bella trailer site. I strongly encourage all priests and parish leaders to organize groups to go and watch this very wonderful and moving story. And of course I hope that all blog readers will do their best to watch this movie. November is a time when the Church reminds us that we are pilgrims here, that our life is geared toward eternal life with God. We begin the month with All Saints Day, celebrating all of our brothers and sisters who have gone home to the Lord and are in glory. Many of the saints are unknown, and in my homily yesterday I said it reminded me of the Tomb of the Unknown Soldier. Most national cemeteries have such a tomb to remind people of the many soldiers who were never identified but selflessly gave up their lives for their country. There are so many saints in heaven who are not canonized or part of the litany. They lived the holiness to which we are all called by simply living in God’s love and grace. It is the reason that we have been created and why we are here. So we begin November with the Feast of All Saints to remind us of the goal — heaven, and then today on All Souls, we are reminded of the need for purification as we prepare ourselves as pilgrims on the journey toward God. Part of the pilgrimage can be purification after death, which gives us the wonderful opportunity of praying for our beloved dead. 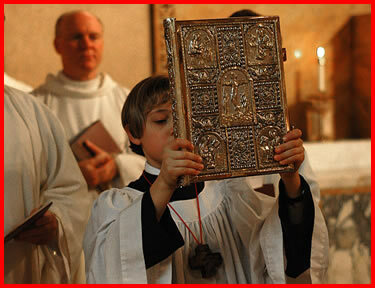 Of course, the highest form of prayer that we have is the Mass, and for that reason the Church allows each priest to say more than one Mass today, even without pastoral reasons. 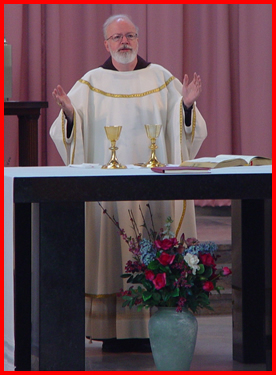 There can be other occasions when, because of a pastoral need, a priest says three masses in the same day. But on Christmas Day and All Souls Day, a priest can celebrate that many Masses, even if he is celebrating without a congregation. So I had my first Mass today at Bishop Peterson, I had a second at 12 p.m. for chancery employees unable to attend the morning Mass. 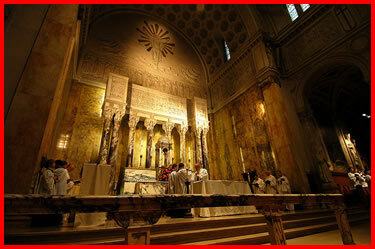 Then, in the afternoon, I said my third Mass at the cathedral. Every time the Mass is celebrated, there is a special remembrance of all of our beloved dead, all of those who have gone before us marked with the sign of faith. They are still part of our Church, and we are all part of the body of Christ. The All Souls Day liturgy teaches us of our connectedness to one another in the body of Christ. It is a very beautiful feast day, and I am always gratified that many Catholics take the opportunity to come to Mass and pray for their dead, even though it is not a holy day of obligation. Many also visit the cemeteries, especially people of certain ethnic groups. As a Catholic community, we have about 70 cemeteries in the archdiocese. We see burying the dead as a very important work of mercy. And of course we bury them in the hope of eternal life. On Thursday, I celebrated the All Saints Day Mass at St. Paul Parish in Cambridge. It was the 12 p.m. Mass, and the church was filled. It was a beautiful experience. 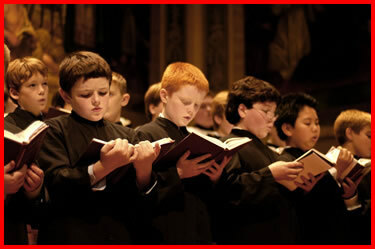 The Boston Archdiocesan Choir School, which is part of St. Paul’s since 1963, sang and served the Mass. We were quite impressed by how well they sang, but particularly at how beautifully they executed the serving of the Mass. 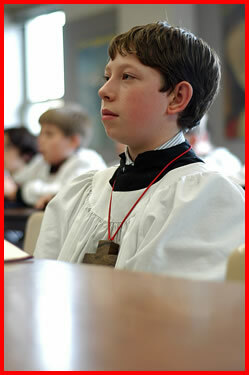 Obviously, these are boys who are raised so close to the liturgy, and it extends also to serving at Mass. It was very touching to see how well-trained and devout they were. It was also good to see so many Harvard students and parishioners present at the Mass along with Father Robert Congdon and the other chaplains from Harvard — Father George Salzmann and Father William Murphy. This morning, for All Souls Day, I celebrated Mass in Bishop Peterson Hall at St. John’s Seminary in Brighton for the chancery staff. It was like the Masses we have every first Friday, but for the special occasion we placed the book of intentions on the altar. In the book, our employees have inscribed names of relatives and petitions they wanted prayed for. On Oct. 25, the Order of Malta had their annual Mass at Boston College’s St. Mary Chapel. At the dinner following, they named Claudine Quinn as the recipient of the Bishop Fitzpatrick Award. Claudine has been involved with Catholic health care for over 30 years. She is just an extraordinary Catholic lay woman who was married to Bob Quinn, the former Massachusetts attorney general. The emcee for the evening was Joe Feldberg, and Father J. Bryan Hehir gave a stirring address. Of course, we were all amazed that so many people were there because the World Series was going on, so Father Bryan made a concerted effort to begin his talk early and get us out of there shortly after 9 p.m. so that people could catch the ballgame. Jesus’ words are jarring. Yet what He says is true. Fidelity to the Gospel, friendship with Christ can cause separation from friends, family, co-workers, and neighbors. At some point being a disciple sets us apart from the maddening crowd. Often being disciple and being politically correct are mutually exclusive. A week ago, last Sunday, the Catholic Lawyers Guild listened to the only Presidential Candidate whose positions reflect the Church’s social teachings across the board. His stance on immigration cost him the support of many in his party. He spoke with passion about the Gospel of Life, family and social justice. Last week’s America magazine included an article about a Catholic bishop in the Sudan who named a well after Senator Brownback. I don’t have a well, but I was anxious for some Boston Catholics to listen to a Catholic politician who sounds like his faith matters to him. He spoke to us about the Down Syndrome elevator man in the Capital, and pointed out that 90 percent of Down Syndrome children are being aborted in our brave new world. Senator Brownback has been working on legislation that could help slow down this shameful slaughter of the innocents. This week we learn that Senator Brownback is on the yellow brick road back to Kansas for lack of funds and traction for his campaign. Our citizenship is in heaven by our baptism. Yet, the world needs the Church at the same time that the world spurns the Church. Without the Church, the world does not know who it is. The only way for the world to know that it is being redeemed is for the Church to point to the Redeemer by being a redeemed people. In the past, people persecuted the Church for what we teach about God. Today, we are persecuted for what we teach about the human person, abortion, marriage, etc. It is a struggle to avoid assimilation. The tendency of God’s people to adapt to the dominant pagan culture has always brought about disaster. Father Neuhaus puts it very well in one of his latest books where he says the Church’s task is to call the world home, to find itself and its purpose. One theologian says that Christian ethics is first a way of seeing before it is a matter of doing. 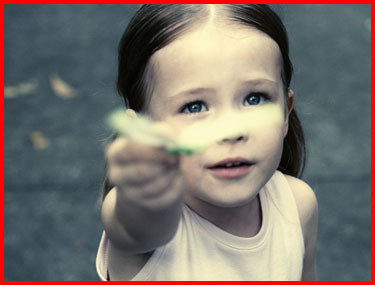 The ethical task is to train to see. This explains why in the Church, a great deal of time and energy are spent in the act of worship: In worship we are busy looking in the right direction. The motto of the Order of Malta is “Tuitio Fidei et Obsequium Pauperum”: defense of the Faith and assistance to the poor and suffering. Recently, I was in an old Capuchin Monastery where the beams in the ceilings of the refectory were made from the ships of the Battle of Lepanto. The way we defend the Faith today is by living it and passing it on, not by invoking military prowess and force. The world needs a new apologetic as we try to answer the real questions that modern people struggle with and to answer them in the light of Christ’s Gospel. 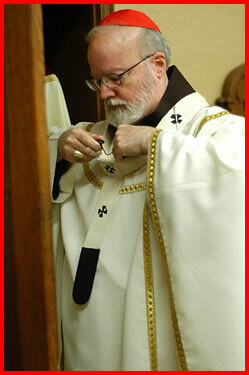 The answers need to be accompanied by the witness of a life committed to the service of poor and the sick. When the world becomes convinced that those who live as Christ’s followers are truly making this a better world, then we will get their attention and have a hearing. So, defending the faith and helping the poor are inexorably linked in our life of discipleship, and especially in the spirituality of Malta. Be that sign in Boston, be the compassionate face of Christ as He bends over the man left for dead on the Road to Jericho and at the same time proclaim the hard truths of the Gospel with conviction and courage. We cannot afford to be guilty bystanders; we must raise the flag of the colony of resident aliens in defense of life, of marriage and of the Church. Our message must emanate from a life transformed by prayer and committed to the works of mercy. To me that is what Malta needs to be about. Last Friday, I was very happy to meet with Father Christian Noval, a priest of the Diocese of Copenhagen in Denmark, who is here on sabbatical. He is living at St. Catherine of Siena Parish in Norwood and has been studying youth ministry. I told Father Christian that I was the bishop of the Danish West Indies for 10 years. It was a very interesting to be able to share with him my experience of what was formerly a Danish colony for 350 years. When I was bishop there, all of the street signs and names of the towns were still in Danish and the Danish flag was flying in front of every Lutheran church. I also told father that, as a seminarian, I went to Denmark to research my thesis for philosophy on Søren Kierkegaard, the Danish philosopher and theologian. 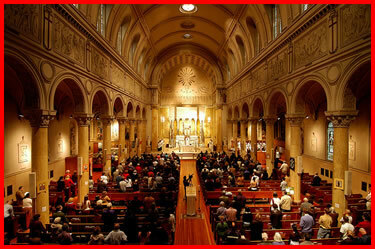 I told him that at the time, the early 1960s, it was hard to find a Catholic Church to be able to go to Mass. I finally found a chapel run by Jesuit fathers. Most people in Denmark are Lutheran. Father Christian is actually a native Danish Catholic from a Catholic family. Most of the Catholics in Denmark are immigrants, many from the Philippines or from Vietnam. Despite the small number of Catholics, there is a lot of vitality in the Church in Denmark. Even though there are very few, they are very faith-filled and have a very strong sense of community. Father Christian told me that he reads the blog from Denmark. I want to take this opportunity to greet our brothers and sisters in Denmark who read the blog. That evening, the bishop of the central region, Bishop Robert Hennessey, hosted a welcoming reception for Father Arthur Kennedy, the new rector of St. John’s Seminary in Brighton. 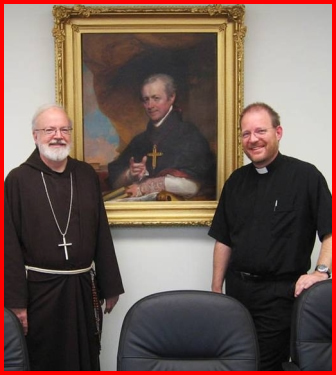 Not only is he the new rector, but he is also new to the central region, where the seminary is located. 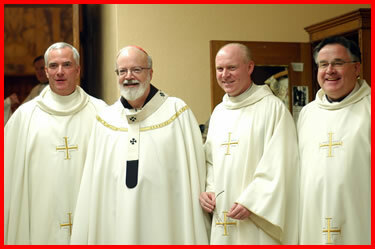 We had the gathering at St. Peter Parish in Cambridge, and Father Kevin O’Leary, who is always so gracious, welcomed us. 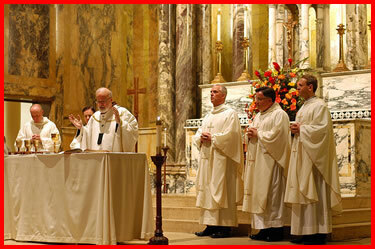 It was very well attended, and the priests had a wonderful time. It was an opportunity for us to acknowledge father’s arrival and to thank him for his generous response in being willing to give up the very exciting ministry he was doing at the University of St. Thomas in St. Paul, Minnesota. He came back here to take on the responsibility of the formation of our diocesan priests, which is so important for the future of our local church. It was a fundraiser for the charities they have in Cuba. 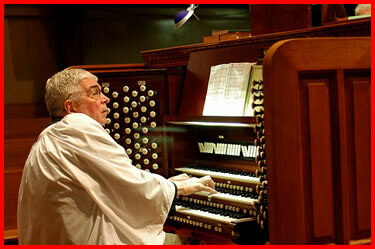 They sponsor many parish-based ministries that care for the elderly. Last year they served over a million meals. In Cuba, where there is so much hunger, it is a great service. That charitable work also helps to strengthen the local faith communities there that exist under great difficulties and pressures. My visit to Miami also gave me the chance to be with my sister who came to the dinner with me. While in Miami, I was informed that Dr. Oscar Elias Biscet, a Cuban doctor who has fought to defend life in Cuba, will receive the Presidential Medal of Freedom on Monday in recognition for his defense of the unborn. He is currently serving a 22-year prison sentence in Cuba for defending his beliefs. The White House has rightly called Dr. Biscet a “champion in the fight against tyranny and oppression.” Lifesite.net has published an article on Dr. Biscet that I encourage you to read. 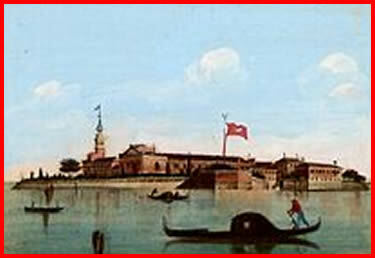 On Wednesday Abbot Yaghyia, the abbot of an Armenian Catholic monastery which is on the island of San Lazzaro, located in the Venice lagoon, came to visit me. 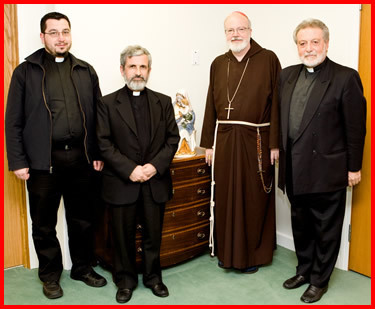 He visited with a local Armenian Catholic priest, Father Raphael Andonian and with Father Nareg from the Armenian Apostolic Church from Queens, NY. I had visited their monastery once, and it was a wonderful experience. The island they have — called San Lazzaro degli Armeni — is a great center of Armenian culture. They have a library with the first books written in Armenian, and Lord Byron, the famous English poet, lived there for a while to learn their language. Abbot Yaghyia is a priest of the Mekhitarist congregation. Their order was founded by Abbot Mekhitar, a member of the Armenian Apostolic Church, who felt that his mission was to restore unity between the Armenian Apostolic Church and the Catholic Church. Out of his vocation came this order of monks. Recently Catholicos Karekin II, the head of the Armenian Apostolic Church, was here in Boston, which I mentioned in my blog. This time, those visiting were from the Armenian Catholic Church and this community of monks, which as I said, is particularly devoted to the mission of bringing unity between the Armenians and the whole Church. For vespers that evening, we went to the Campion Center, which hosts a large Jesuit retirement community. It was good to meet so many of the Jesuit fathers. Many of them had worked in the missions, had been teachers in the various schools or were provincials. We were able to visit Father Ed Boyle, who was the head of the Catholic Labor Guild of the Archdiocese. 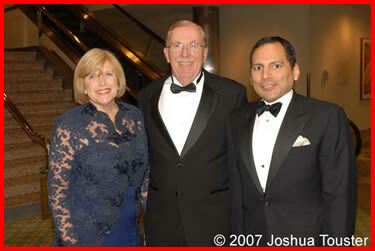 We recently received the photos for the Oct. 20, St. Elizabeth Medical Center’s annual gala. The fundraiser is always well-attended. Interim president of Caritas Christi Dr. John Chessare and the President of St. Elizabeth’s Medical Center Chris O’Connor were there. 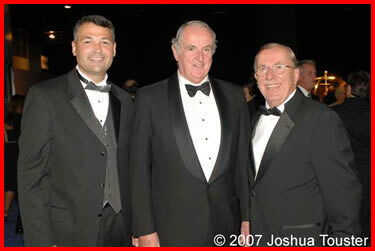 Kevin Phelan, president of the board, was there as well and has always been very supportive. There are many Catholic hospitals in the United States, and we are very proud of the six Catholic hospitals in our healthcare system. One-fifth of the hospitals in our country are Catholic. There are many challenges for Catholic healthcare today, which is why we are so grateful to all those who help our hospitals serve so many. The St. Elizabeth’s gala is one indication of the wide support in the community for Catholic healthcare. 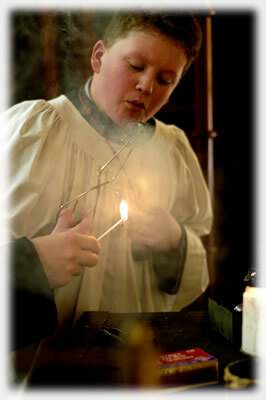 For the photo of the week I leave you with this photo of an altar server at the All Saints Mass. They really did a great job.